This new two-volume book on Spine Surgery comprising 135 chapters, written by nine spine surgeons representing eight countries, is a glimpse into how the rest of the world is effectively caring for their patients. Not only is it a multidisciplinary work bringing together respected professionals from all walks of life, but it is written by leading clinicians and scientists from around the globe, giving it a world-class standing. Evidence-based research is fine and necessary, yet, if not placed in the appropriate clinical context, can be ineffectual and sometimes harmful if misapplied. 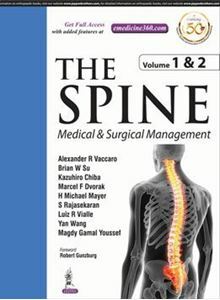 These volumes should be found on the desk of all those who are involved regularly with matters related to the spine—clinically or in research.